After Croatia’s historic 3-2 victory at Wembley in November 2007, denying England Euro 2008 qualification, CroatianSoccerReport.com (CSR) launched, an English-language blog following Croatian soccer. 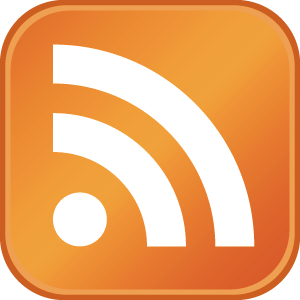 Originally just a hobby and ‘labor of love’, CSR quickly grew into a legitimate news source. In July 2010, CSR was granted an exclusive interview with Tottenham Hotspur manager Harry Redknapp, who announced his want for Croatian goalkeeper Stipe Pletikosa at White Hart Lane. Redknapp also revealed that Croatians were the best ‘lads’ he had ever coached. The story was picked up by dozens of media outlets worldwide, officially putting CSR on the global soccer map. CSR’s style of lightening the mood during an interview and getting to know the interviewee on a more personal level has become a staple of the site’s journalistic arsenal. Immediately after the Redknapp interview, CSR got the Tottenham manager to wear their Crottenham Hotspur shirt in front of hundreds of adoring fans, recorded Croatian president Josipović talking about mafia in Croatian soccer and discovered that Milwaukee Bucks center Andrew Bogut is in fact Croatian, although born in Australia. With ESPN’s 30 for 30 episode ‘Once Brothers’ such a hit, CSR gained access to numerous NBA locker rooms getting basketball stars Andrew Bogut, Jason Kidd, Luis Scola, Steve Nash and Marc Gasol to comment on the inspiration Dražen Petrović gave to them and the trail he blazed for international players. The hobby project quickly grew popular over night in the worldwide Croatian community, where fans of all ages could come and speak their minds on what they love- Croatian soccer. 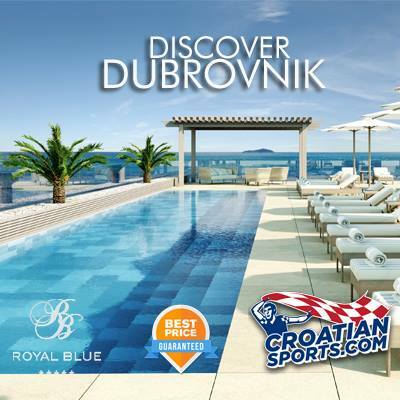 In the summer of 2011, CroatianSports.com was launched to broaden the spectrum of Croatian sports in the English language. The website is still going strong on their mission of ‘Uniting Croatian Fans Around the World’. Thank you for visiting CroatianSports.com and taking us one step closer to globally uniting Croatian sports fans. We encourage any feedback! Hi Ante , i saw a bounch of your video on youtube n i can only say you are doing great job and this is great site…… keep doing in the future….pozdrav care!!!! Congrats on your new site. It looks great. I am trying to target Croatians living in Russia, Ukraine, UK, Austria, Poland, Czech Republic, Germany and Norway. Do you have a list of Media and online websites that target this audience?? I thank you in advance for any help you can give me on this matter. You guys should add a adding page in which the fan memebers can submit stories they found about croatian sports and you guys can approve it or not before it gets posted on page. STIPE MIOCIC fights next on Feb 2..ali ne vidim ja to na ovaj page..
Look under the MMA tab it is posted there. Stipe also fights on the 14th not the 2nd of February. I have been a loyal follower for some time and contribute to discussions under a different name from time to time. I know that you must be tight on “warm bodies” to cover all of the sports out there but don’t know if you wanted to mention the EURO 2012 Futsal Championships being held in Croatia these days. Croatia beat Ukraine in over time penalty kicks to win a spot in the semi finals for the first time ever. The sport for which I have most passion is Football (soccer) and Croatians have a lot to be proud of with all of the Croatian talent playing for big clubs but Futsal focuses on some pretty amazing passing and individual skills that get lost on a big field. Nonetheless, keep up the great work. I will be staying glued to your website for the Upcoming Euro 2012 this summer. Scratch what I said earlier…just found something you posted earlier on the Futsal that I missed. You guys are that good…! A small group of us here in the UK have decided that we wanted to set up a supporters club for a european league team. After much consideration we decided to start the Tornado Zadar Supporters Society here in the uk and visit throughout the season for home matches. We were wondering if you could help us in anyway with our search for replica shirts that our members could buy? Also any information you have about the club that you could assess us with so that we can educate our members about our new club. Hi,I am Pence,the senior operation specialist of soccer.hupu.com(the former name is GoalHi.com),which is the biggest football website in China and there are over 2 million of Chinese fans gathering in our forum,talking about football both at home and abroad. We are aiming at introducing and propagating the real European football and its fascinating culture to Chinese fans and we’d like to know more about the success and merit side of European football. I’m a big fan of your website,I’ve read a lot of your excellent articles and I translated them to my friends, they all love it,and so do millions of fans in our forum. As the UEFA European Championship is coming near,I wonder if I can give you an interview with 5 questions about Denmarkl national team through e-mail,which is an important part of our special program for the UEFA European Championship.It would be a great honor to us and it will help Chinese fans learn more about the championship. I’ll collect 5 questions from the fans in HUPU.com and translate your answer into Chinese. Looking forward to your reply. Hi Guys, I was wondering if you can put upcoming prospects up on your website? 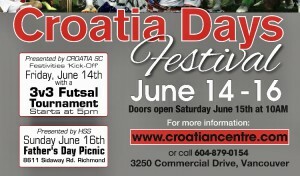 Naturally coming from Canada I would like to see young Croatian hockey prospects but also in soccer! Just a suggestion, Love your website otherwise. participation in your event and Training Camp. We are waiting for your reply to enabled us participate which i have hope to send you the names of the participants with date of birth and passport number for the official invitation letter. Hope to hear from you soon for our invitation letter to participate. Thanks for the co-operation and support. Are there any Croatia affiliated nonprofit organizations in USA (NJ) which may partner with men under 30 team and support the fundraising efforts by providing NPO tax ID # and include team fundraising , sponsorship and related expenses with other nonprofit activities on your IRS form 990? Any organizations interesting in sponsoring team with $20,000 donation in exchange for lead advertising spot on website and other promotional opportunities with team? Mislim da bi bilo puno pravičnije kada biste tih 25.000 kn umjesto Hrvatskom Crvenom križu poslali – meni! Jer, ja sam najveća žrtva Crvenog križa i jedina osoba u Hrvatskoj a kako vidite iz dopisa HAZUDA iz Basela i u Europi koju je neki Crveni križ – tužio!? Hrvatska dijaspora u Švicarskoj je to shvatila. Vaš gest bi bio sigurno sa odobravanjem popraćen u hrvatskoj javnosti da spriječite ovrhu na mojoj obiteljskoj kući koju mi Crveni križ u konačnici u slučanju neplaćanja štete koju sam im navodno pričinio njihovom ugledu želi oduzeti jer sam razotkrio dio njihovog financiranja. Pri tom ne prihvaćaju nikakvu ispriku ni mirenje čak ni od Hrvatske odvjetničke komore. vidim da imate problema pronaci snimke od UFC borbi, stalno vam brisu. We gladly invite Croatia supporters to come on down to Alpine Village in Torrance California to once again celebrate with us this World Cup! Good day. Please forgive me take the liberty of disturbing you. We are professional manufacturer, specializing in inflatable paddle boards’ products. We will provide you with high quality products at competitive prices and excellent service. Hope to cooperate with you！Thanks! İ am Azerbaijanian. İ am editor of “FutbolPress.az” site. I want to say something about the issue of football match to you. I bought accreditation for Azerbaijan-Croatia match (03/09/2015) I am going to watch match at the stadium. And i am seriously fan of Croatia since 2000, also “Barcelona” fan which is Ivan Rakithich playing. I want to see with Ivan Rakitich during the match. And also i want to take Croatia t-shirt from Ivan Rakitich. I hope to you will request my dreams, because i am Croatian national team fan for 15 years. I wondered if you could help me out. I am writing an article on RNK and wanted to find out more about them. Is there anyone I could speak to? I’m particularly interested in their players who fought and died in the Spanish Civil War and on the side of the Partisans during WWII. Any help would be gratefully appreciated. Plese inform Zlatko Horvat that Hollywood is trying to get in touch with him after his performance in the Bronce Final. 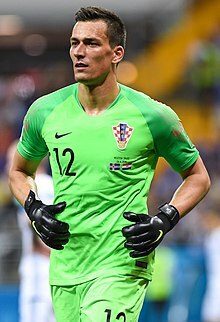 Hej, I wanted to ask if you know if places to buy authentic Croatia National Team Shirts. I unfortunately live in the USA and the only places I have found just sell the blank shirts. I wanted Modric and/or Mandzukic kit in the blue away and the red/white home shirt. So I want to know – any legitimiate stores you know of? I’m Daniela from GolStats, a soccer intelligence company. I’m looking for the Director of Sport/Content’s email. We’ve developed a system that recreates each second of the soccer match in virtual reality and I would like to bring the subject to him/her. Do you know were I can buy a poster of the 2018 Croatian soccer team?